Owning a lakefront property is a dream for many. 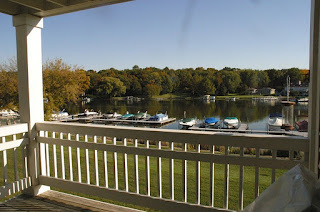 Delavan Lake is located in Southeastern Wisconsin, has 2,072 acres of all-sport fun and is home to sailing, skiing, fishing, and ice boating enthusiasts. This blog, by Ryan Simons, covers the real estate activity on and around the lake along with local activities. 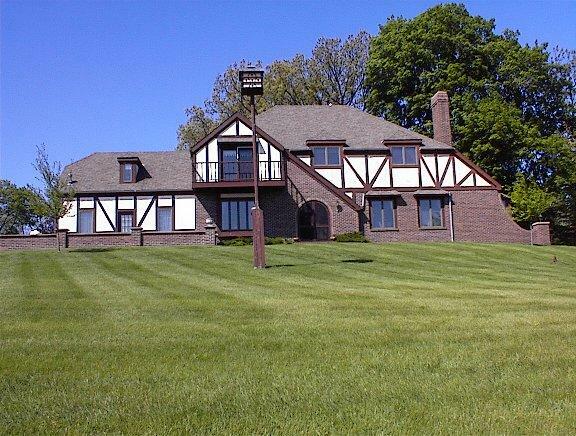 After being on the market for over four years, the five-bedroom Tudor, located on the Island of Delavan Lake, has finally sold. Boasting 215 feet of prime Delavan Lake frontage, and an acre of real estate, the parcel had one of the best views available in the area. Originally listed for $1,999,000 in October of 2008, the property finally succumbed to the soft market and was relinquished for a mere $730,000. The sale represented only 47 percent of the assessed value which stood at $1,555,000 at the time of the transaction. In addition to the five bedroom, the home had four baths, 3,000 square feet of living area, a large lakeside patio and an attached 2.5 car garage. But the home had fallen into disrepair over the last few years. The roof needed replacement, siding was deteriorating, and a leak above the kitchen created an unsightly bulge to prospective buyers. The new owner, planning extensive remodeling, is sure to capitalize on a week real estate market. With the planned updates, the home will most likely fetch somewhere near the assessed value once completed. 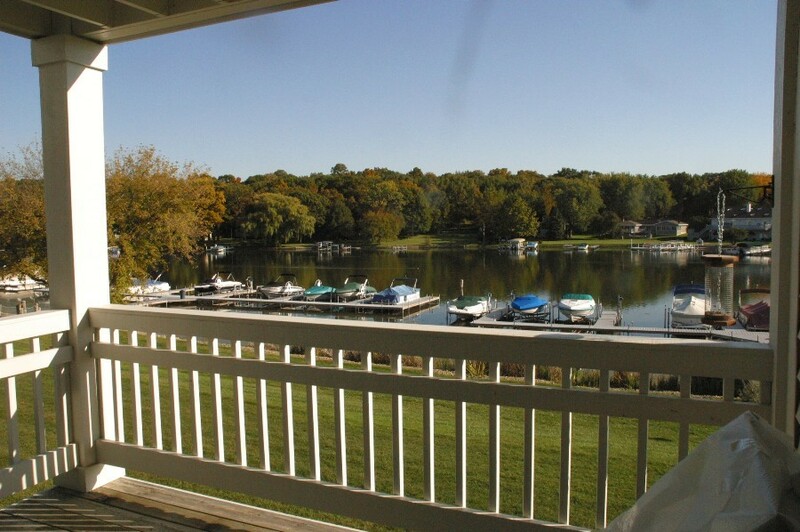 As the season cools down, many Delavan Lake home owners have reduced prices to attract a sale before the snow flies. This has been a solid year for lakefront homes and three lucky buyers have locked on to properties that are yet to close this year. If you are considering a purchase, this could be one of the best times to make your move. Two bedroom, one bath on a large lot in the Delmar Subdivision, including a boat launch and swim pier, for only $82,500. Four bedroom, one bath, with boat slip and garage in Jackson Park off of North Shore for $129,900. Four bedroom, one bath on 50 feet of private North Shore lakefront for $325,000. 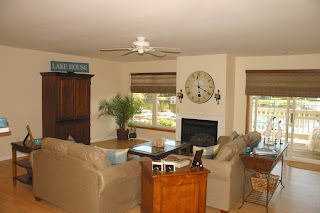 Older three bedroom, two bath with wooded drive and 50 feet of private North Shore frontage for $589,000. One bedroom, one bath condominium in Geneva Landings that includes a garage, boat launch and swimming pool for only $184,900. View from Geneva Landings balcony.